NOTE: We have recently redone our Merit Badge Counselor lists. We removed hundreds of Counselors due to inaccurate contact/Merit Badge information or expired Youth Protection Training. Please check the date on the bottom of the lists. If you are not on the list and want to be, please follow the below procedures. Merit Badge Counselor Applications can be mailed to the Scout Office or emailed to the District Executive. 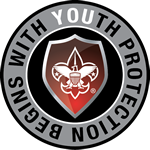 To be considered an official BSA Merit Badge Counselor, an adult has to be currently registered with the BSA as a Merit Badge Counselor and their Youth Protection Training must be current. Those who are not registered as MBCs or have expired YPT have been removed from the district list. To be put back on the list a person only need to send an email to the District Executive with the date they took their YPT and a newly filled out MBC Application. See steps 1-2 below. Fill out and sign MERIT BADGE COUNSELOR INFORMATION form. Turn in all forms to the council offices or to the District Executive in person, or by mail. The online training module will guide new and potential merit badge counselors through their responsibilities in the role and will give them an understanding of the methods of counseling Scouts. It is intended as a short orientation course for new merit badge counselors before they begin working with Scouts.